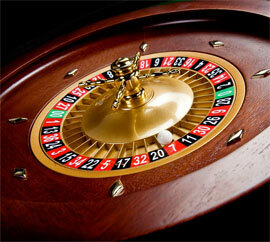 There are two types of roulette wheel, the European wheel and the American wheel. The major difference is that on a European wheel, there is one “0” and on an American wheel, there are two “0” and “00”. Both wheels have 36 numbers on them each number being represented alternately by the colors black and red. The American wheel has lower odds of winning, 1 – 38, than the European wheel whose odds are 1 – 37. Once you learn this strategy you can feel free to use it at miamiclub casino. A roulette table has 36 numbered squares arranged in three columns of twelve numbers. There will be either one 0 or two 00 at the head of the table above the number one. To the left of the first column of numbers three sections that correspond to the first twelve numbers (1-12), the second twelve numbers (13-24), and finally the last twelve numbers (25-36). To the left of this column, there is a further column with sectors that are labeled 1 to 18, EVEN, Red, Black, ODD and 19-36. The highest chance of winning at a roulette table is to bet on the lowest odds outside bets (called outside bets because they are not within the inside numbers 1 – 36, “0” and/or “00”). These bets are to be found in the extreme left hand column of bets. A player decides the amount they wish to stake and places the relevant number of chips on one or more choices. The safest bets are gambling on either EVEN or ODD, Red or Black, 1 to 18 or 19 to 36. Each of these categories carries the odds of evens. That is if the player wins, then they will have their stake returned and the winnings will be the same amount as the stake less the house edge. The column to the immediate left of the inside bets contains three sections which are labeled 1ST 12, 2nd 12 and lastly 3rd 12. Placing a bet on one of these sections will earn the player a return of 2 to 1. That is the player will receive double the amount of the original stake less house edge. In some casinos, it is possible to place a twenty four number split bet. The player places his bet on the line dividing two of the three sections. The odds for this type of bet are considerably reduced being 1 to 2. A player would only receive half of their original stake as winnings.